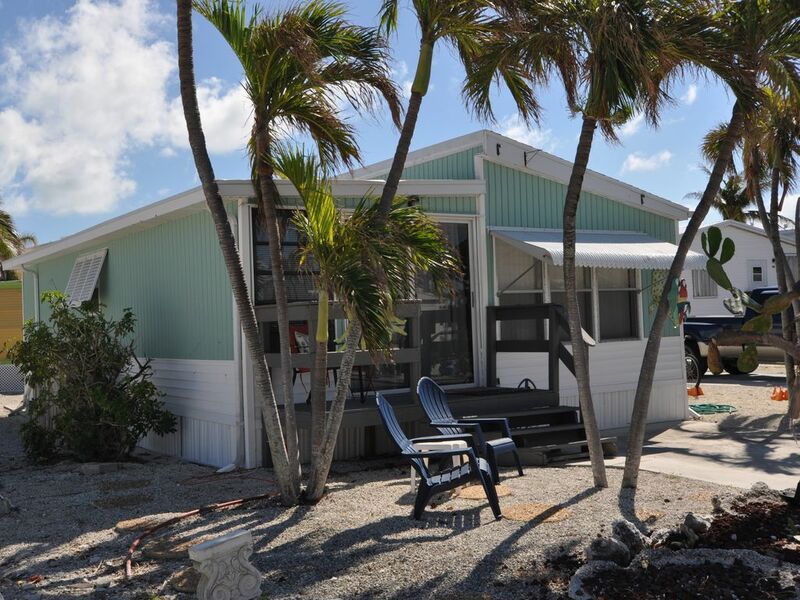 Welcome to Sea Breeze Cottage 66 in the Florida Keys gated resort community Venture Out. This delightful 2 bedroom, 2 bathroom cottage sleeps 4 in comfort. Unit 66 is under new ownership-Formally owned by Doug and Tammy Scott who had 10 years of happy satisfied guests with wonderful reviews. We have updated the cottage with 3 new smart tvs in the living room and each bedroom. Phone / device charging stations have been added, expanded HD cable TV and Wi-Fi internet have been upgraded. New luxury queen bed in the master with new bedding and fluffy pillows. The second bedroom has twin beds also with new sheets, bedding and fluffy towels. Our cottage is sparkling clean and well appointed. New central AC system and brand new duct work installed in Dec 2017. We are local owners that are available to you for assistance and great service. We strive to make your visit to the Keys a WONDERFUL experience. * Pls be advised that upon check in at the front gate, there is a one time resort fee collected of $54.00by the gate attendant. This must be paid in cash, USD. Check in time is 3 pm and check out is 10 am. As our guests we hope you will make the most of your time in the Keys, so we provide use of a double kayak for exploring the beautiful waters around Cudjoe Key. Enjoy the nearby Bahia Honda State Park or Key West Ft Zachery Park for beach days and picnicking . The cottage is equipped with coolers and beach towels to enjoy your beach or pool time. At Venture Out you can enjoy one of the largest pools in all of the Florida Keys situated right on the oceans edge with views of diving pelicans and perhaps some dolphins swimming by! This unit is not on the canal, but you can bring your boat ! Boats can be stored in the 'overflow' lot for a small fee ($2-$4 day paid directly to the park office. The Florida Keys have some of the best fishing in the world. The boat ramp is on site along with fuel and a bait and tackle shop. Just steps from your door is one of the community common areas where you can toss out a line to catch some dinner,launch the kayak or just enjoy the sea breeze. We can assist you with maid service, golf cart rental, boat rental, bike rental, massages etc. Central AC system updated 11/2017 with all new duct work installed after Irma. Our kitchen is fully equipped with new dishes, flatware and new cookware. We are fully stocked with assorted glasses and bar tools too. Dining tables accommodate 6 inside and outside. The inside dining table seats 6. There is also an outside patio table that seats 6. Walk to the common areas nearby and catch your dinner. Excellent shore fishing in the ocean. The home was everything we needed. Very well supplied with lots of unexpected items, like kayaks, beach chairs etc. Really enjoyed our stay. Thank you Rod, glad you enjoyed your stay! We loved our time visiting. The home was excellent, everything perfect upon arrival, even had a light on for our late arrival. Thank you so much. This home is just as described, could not have been better. Just a short walk to the ocean. The outside chairs, back yard table and grill were wonderful. Kayaks were a plus. We will be back. The cottage was clean, mattresses comfortable, and every item you could possibly need was provided. Nice bike paths nearby. The compound is large and offers a lot of activities for different interests. Really enjoyed my stay at Sea Breeze. The kitchen was nicely stocked for cooking and eating in. The place is decorated nicely and the sheets and towels were very nice. Upon arrival it was very clean which leads me to believe its not the normal VO cleaning crew as I've stayed other places that have not been cleaned thoroughly. An added bonus were the kayaks and also the sand chairs since I love to go to the beach at Bahia Honda. Been renting for over 8 years in VO and no rental has ever had sand chairs. The outside area with the table and chairs was a great place to sit and relax in the afternoon or early evening. Thanks Sandy for adding so many special touches to this rental. I loved everything about this home. When we pulled in they had Christmas lights and decor in the house! It made it feel cozy and inviting. They have so many things like hair dryer, beach towels, beach chairs, coolers and more! The neighbors are amazing and so kind! We also went fishing with Eric (charters out of VO) and that was a blast! The only thing I wish the house came with was a golf cart! If you are looking for a great time and a cozy house with everything you need , this is the one for you!